Main Findings of the 2016 GEM APS and NES results analyzed to the Belize context. 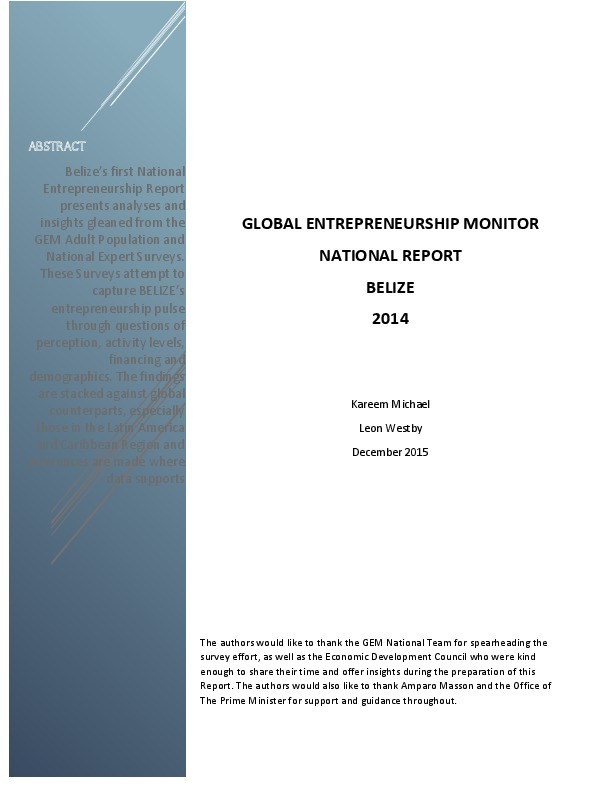 Belize’s first National Entrepreneurship Report presents analyses and insights gleaned from the GEM Adult Population and National Expert Surveys. 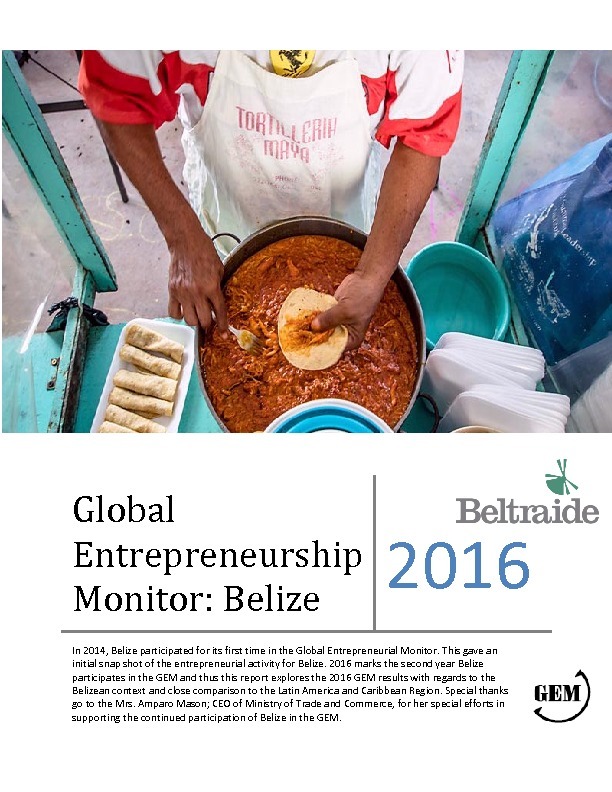 These Surveys attempt to capture BELIZE’s entrepreneurship pulse through questions of perception, activity levels, financing and demographics. The findings are stacked against global counterparts, especially those in the Latin America and Caribbean Region and inferences are made where data supports.